Rev. 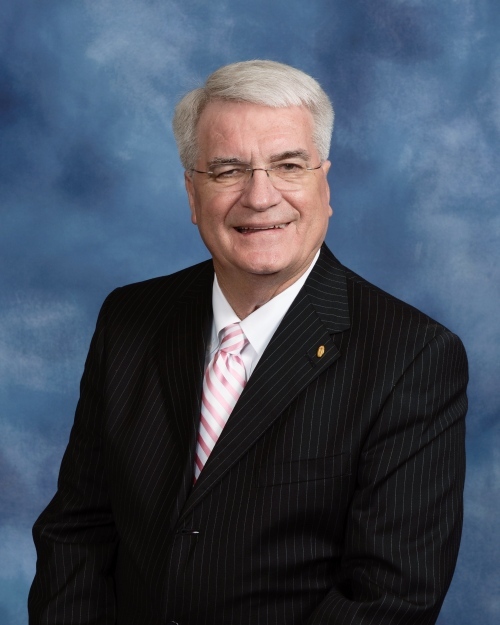 Henry Bass, superintendent of the South Central District, always knew he wanted to serve God. Born in Athens, Ala. and raised in nearby Tanner, Ala., Rev. Bass’ formative years provided the foundation for his deep faith. A graduate of Birmingham Southern University and Candler School of Theology at Emory University in Atlanta, Ga., Rev. Bass entered pastoral ministry in the North Alabama Conference. He served several appointments there before transferring to the South Georgia Conference, where he served congregations in Doerun, Alamo, Alma, Brunswick, Blakely, Jesup, Vidalia, and Cairo. Rev. Bass has been involved in mission projects throughout his career, having led work teams to Chile, the Virgin Islands, and Costa Rica in addition to a number of projects in the United States. Rev. Bass enjoys traveling, playing golf, and the beach. He is a warm, friendly extrovert who never meets a stranger. He is married to Jane Ellen Bryan, and they are the parents of four living children, 10 grandchildren, and five great-grandchildren.